Guys, I could not think of a better Friday post. Yes, we are doing churro waffles today, and yes they can double as breakfast, dessert…and apparently in my house, lunch as well. If you could see my face right now you’d see me with a BIG smile, that is for two reasons. Reason one are these churro waffles, they are too good, like addictingly good. And easy, super easy… so obviously I could not be more excited to share them with. Reason two would be because of you guys, and all of your incredibly amazing and kind comments from Wednesday’s post. Like WOW. I have not even finished reading through them all yet, but I am just in awe and so grateful to each and every one of you who took the time to comment. I will definitely be using your suggestions. THANK YOU! Reading through these comments has made the last two days extra special. You guys are the best! To celebrate we are making churro waffles! So I don’t really know where to begin with these here waffles. It all started with a conversation with one of my bestest go-to recipe peeps…aka cousin Abby out in San Diego who gives me all the details on all the best Mexican food. She was telling me all about the incredible churros she ate over the weekend and somehow I decided that I need to make churro waffles. 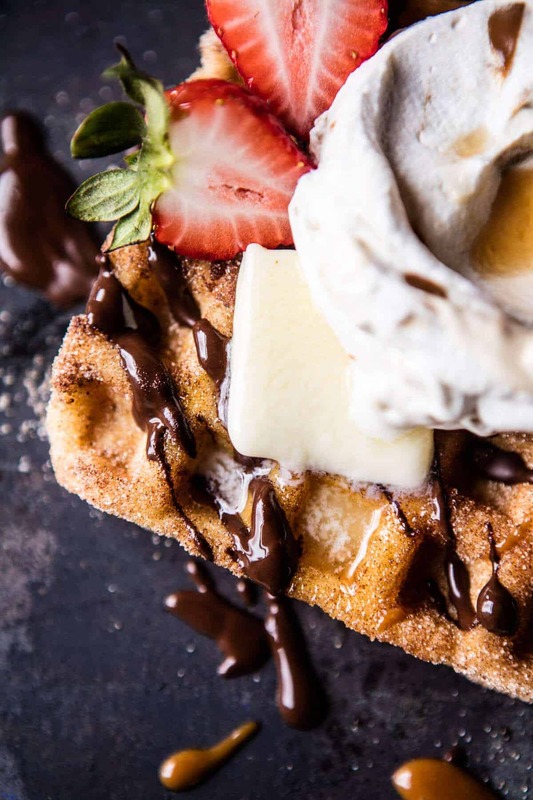 I guess since I’ve already made churros, churros waffles were my next step, and umm, I am going to go ahead and say that churro waffles are actually better than churros. With churro waffles, you can add things like butter and maple syrup, and you guys they’re just SOOOO GOOOD. 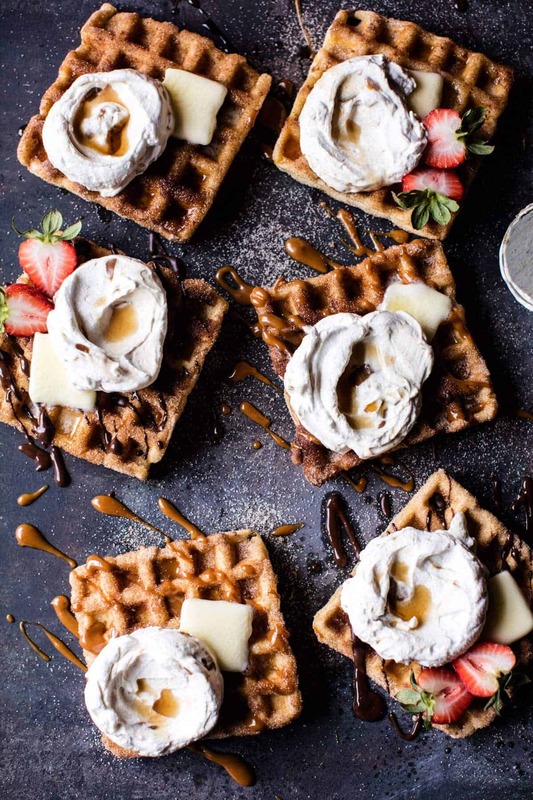 You can go crazy and add toppings like ice cream, chocolate sauce and dulce de leche… or just keep it simple with butter, whipped cream and syrup… my personal favorite. 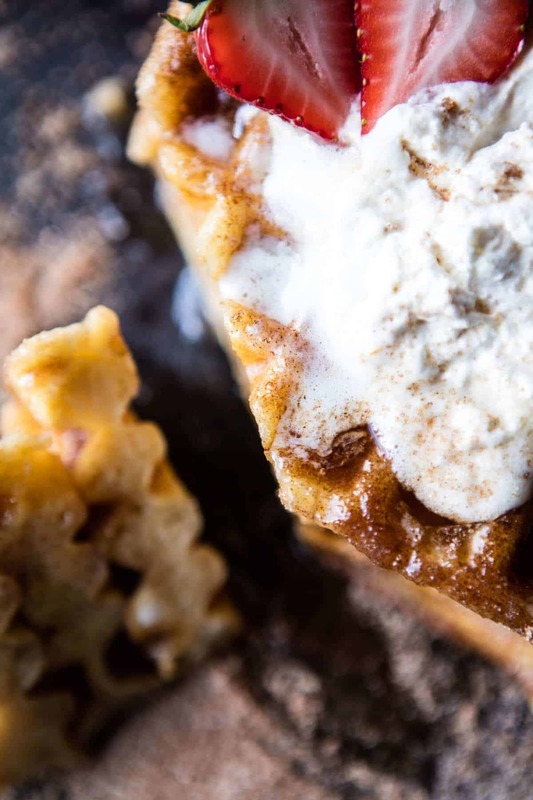 Take a WARM churro waffle, add a generous pat of butter, a spoonful of homemade whipped cream and a light drizzle of pure maple. It’s the best – THE BEST. I mean, the over the top combos are great too, but I can’t lie, sometimes they can get a little too sweet for me, and I just love letting the cinnamon and butter flavors really shine here. But whatever route you choose, these churro waffles are going to be good. Obviously. I mean, are you looking at these pictures? 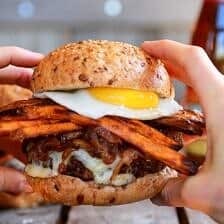 Are you hungry now??? I totally am. 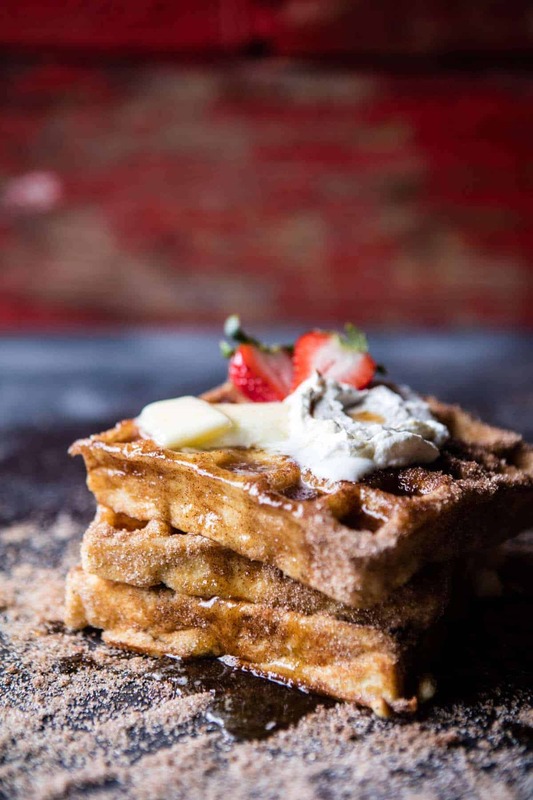 So let’s make it a Churro Waffles Friday?!?!? One of the things I love most about these waffles is how easy they are. 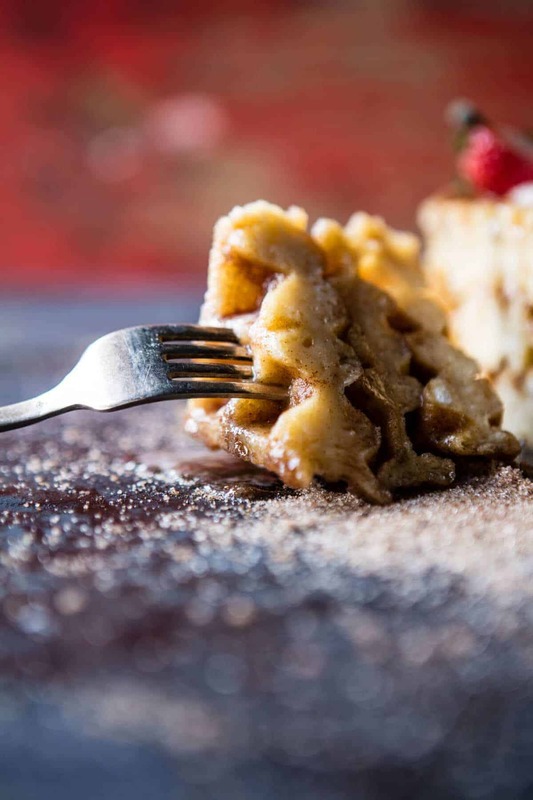 You just make a buttermilk waffle batter, cook up your waffles in a waffle iron, brush the waffles with butter, coat them in cinnamon sugar and then EAT. Honestly, they can be made and ready for eating in under thirty minutes. NO JOKE. It’s actually a dangerous recipe to have on hand, because they are THAT simple. Also, my guess is that most of you already have all of the ingredients to make these waffles on hand right now. Flour, eggs, baking powder, buttermilk, cinnamon, sugar?!?! Yup, I sure do! PS. if you don’t have buttermilk, use two cups of milk with one tablespoon apple cider vinegar and you’ll have homemade buttermilk!! If you don’t have vinegar, just use milk…it’s not going to be the end of the world, and promise these waffles will still be KILLER. OKok, are we all in agreeance now? 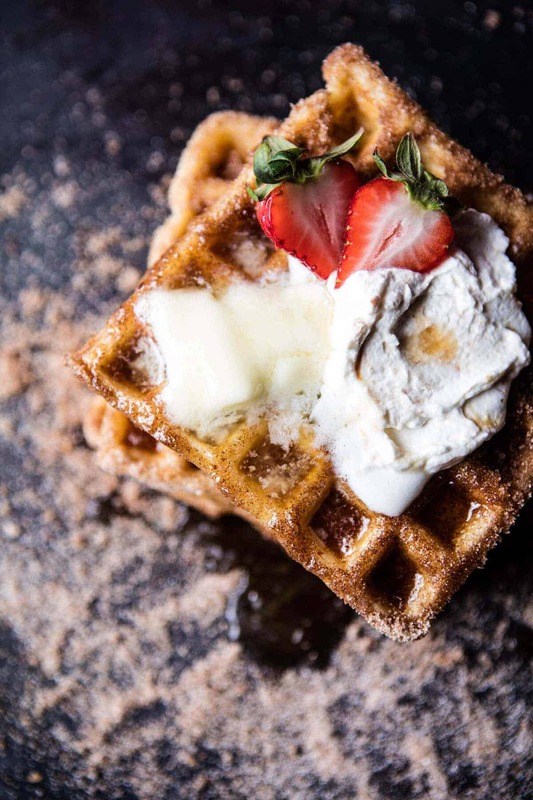 Churro waffles will be happening this weekend, right?!? Two of your favorite things in one! In a large mixing bowl, whisk together the buttermilk, eggs, 6 tablespoons melted unsalted butter, vanilla and brown sugar. Add the flour, baking powder and salt and stir until just combined. It's OK if the batter is a little lumpy. Allow the batter to sit 5-10 minutes. Cook the waffles according to your waffle iron's directions. I like to slightly undercook my waffles so they are super soft in the center. In a shallow, low bowl, combine the cinnamon and sugar. 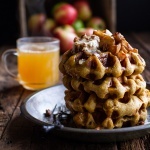 Brush each warm waffle generously with the 8 tablespoons melted butter and then dip through the cinnamon sugar. Repeat with the remaining waffles. PS. Again, thank you to everyone who left comments on Wednesday’s post. I am still just shocked by all your kind words. THANK YOU! PSS. I am making these waffles over on Snapchat today!! 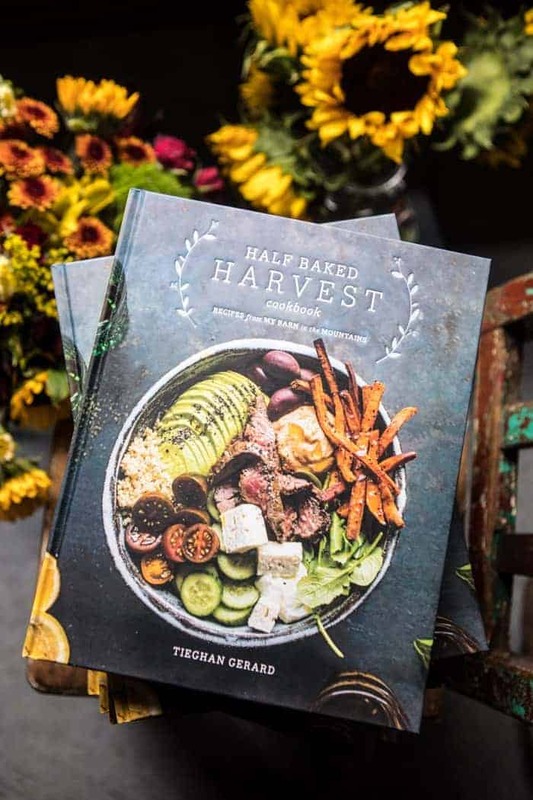 Follow hbharvest to follow along! Wow, these look and sound amazing! 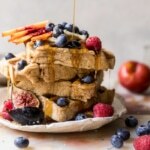 I’m going to try and figure out how I can organise a makeshift waffle iron because I so want to make these this weekend! One question though regarding the vanilla. What kind of Vanilla is it? Seeds, flavor, essence? And another question. What do you use the salted butter for? It’s not mentioned or is it used for the brushing of the waffles? I think the salted butter is to brush on the waffles before the cinnamon sugar is out on them. HI Kat!! The salted butter is for brushing on the waffles before you dip them through the cinnamon sugar. Sorry if that was confusing. Let me know if you have questions. Hope you love the waffles! Thanks! ? Hey Kat! I like to use pure vanilla extract. Let me know if you have other questions, thanks! Your food makes me so happy! These look like my dream waffles! A match made in dough heaven! I could eat one of these right now. YUM!! Hope you get A chance to try them Charlotte! Me too!! Thanks Lynne Hope you enjoy!!? AWESOME!! I hope you guys love them? Wow, my mouth is watering! I wasn’t even hungry and now all I can think of is waffles! And coffee…hehe! YAY!! Pretty much exactly what I wanted to hear!! These waffles are pure delish genius! And so beautiful too! Wow!! Thank so much Shannon! I can not wait to try this out! Pinning now! Let me know what you think!! Thanks Jena! I’ve never wanted a waffle more, these are gorgeous! Oh man I really need to get a waffle iron…I am seriously missing out on all this deliciousness! I hope you love them Kate!! Girl, these waffles are unreal!! What a genius idea to combine two of the world’s greatest things. 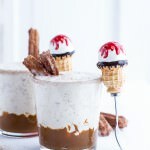 Definitely going to be making these for breakfast on Sunday!!! 🙂 Have a great weekend, Tieghan! YAY! Thank you Lucia! I hope you love them! How are these a thing??? They look delicious!
? Thanks Kari!! You should try them!! 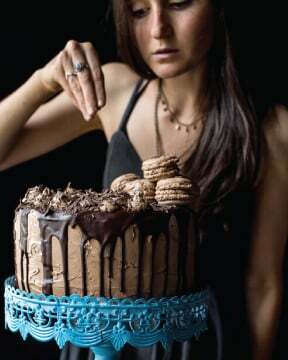 I love your endless flow of wildly creative recipes, Tieghan. You are my food blogger idol. 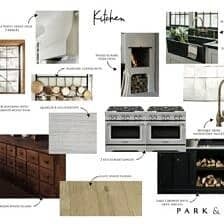 I’m so inspired by each dish that you make! Today, I saw you make these around lunchtime on Snapchat 🙂 I had to come over to the blog and check out this recipe. Churros used to be my fave when I was younger and now I can turn them into a breakfast (no deep fryer required!) so that’s even better 🙂 I can’t wait to try it out. 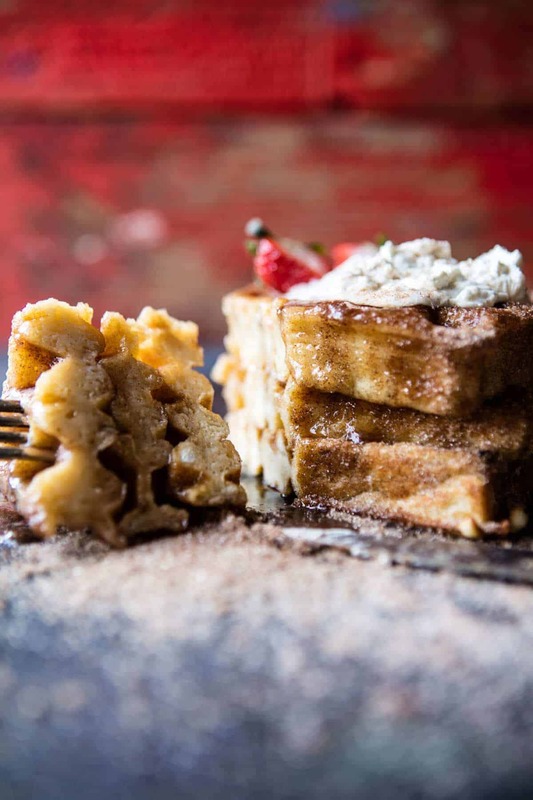 One question: when you say this recipe makes 8 waffles, would that be eight of the squares as shown in the picture or eight full-pan sheets of waffles? Hey Melanie!! Thank you so much for your kind words!! You are making me smile ear to ear! ? The recipe makes eight waffles like as seen in the photo, not the huge square. So eight of the waffles seen shown, does that make sense? Let me know if you have questions. Thank you again!! Have a great weekend! This is EPIC. Not only have I loved Disneyland’s churros wholeheartedly as a kid, but I also LOVED waffles. To blend such unlikely foods together is absolutely crazy. F*ck yeah to you!! You sure have outdone yourself this week! Another trick if you’re out of buttermilk is to add water to yogurt. Works great! I’m not even a waffles fan and now you have me wanting to run to the store to get a waffle maker. I mean, churros for breakfast? Yes yes yes YES! These waffles were delicious. They were plenty sweet with just the cinnamon and sugar but the teenager had them with maple syrup. Next time I would use a shaker for the cinnamon and sugar. The dip and drag method made uneven coverage and was a bit sketchy with the hot waffles. Thanks Tieghan. Awesome!! Glad they were a hit Maria!! Thank you! Lunch and tea sounds good to me! Thank you!! I bought a waffle maker months ago. I kind of forgot about it and used it only twice. 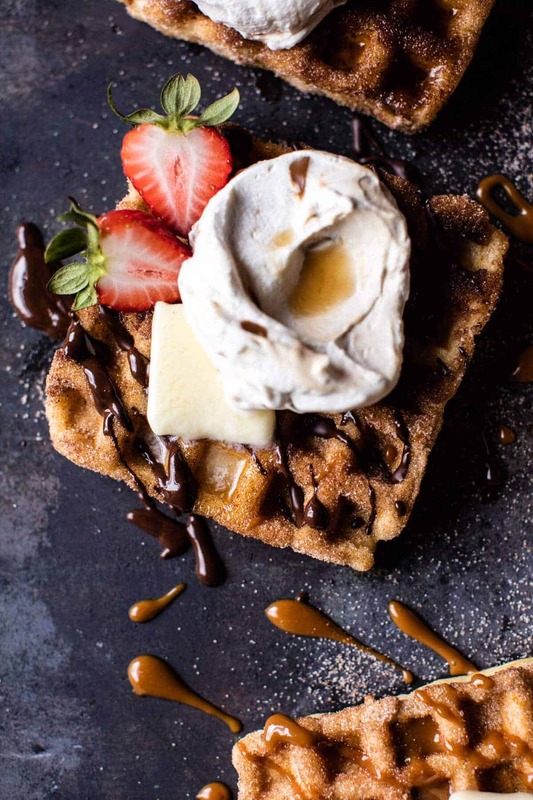 Definitely making these yummy mexican inspired waffles today. HI!! How were they? Hope you loved them!! Thanks Adriana! Thanks for the recipe. 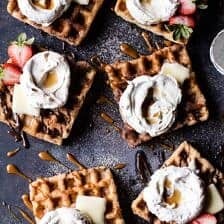 I am new to waffles and I think, I shall start with this recipe of yours. Looks delicious and easy to make. I hope these waffles are super awesome for you, Mark!! Let me know how they go! Thanks! 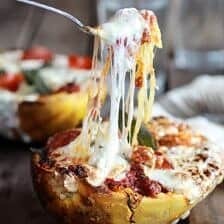 Can you make these ahead for a large crowd? How would you store them and reheat them? They look amazing and perfect for a cinco de mayo celebration! Hey Jodi! SO SORRY for the delay. These are best eaten right after making, but yes you can make them in advance and then warm in a 200 degree oven. Hope they are a huge hit! Thank you! I am allergic to wheat and had an excellent gluten-free waffle an hour away from my apartment, followed by a very disappointing one across the street (no butter, still dry AFTER it had soaked up all of the artificial breakfast syrup that had been served with it). I had also never gotten around to buying maple syrup because I don’t make pancakes or waffles much, so I wanted something that didn’t need it. I divided the recipe by 3 and these converted amazingly well to gluten free with Bob’s Red Mill One-to-One Flour! For the last one I put an egg over easy on top and it was fantastic. Thank you for this recipe, it’s delicious! Wow!! So happy you were able to make these and liked them!! Thank you for making them Olivia! 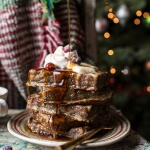 We just made these for breakfast and they were amazing! I am so happy to hear that! Thank you Jennifer! My partner made these for my birthday breakfast and HOLY HELL they were amazing. Incidentally, I made your Overnight Waffles with Whipped Meyer Lemon Cream and Strawberries for his birthday. So, HBH waffles are becoming a birthday theme, over here. Thank you! That is so amazing! I am so glad you LOVED both of those recipes and a very Happy Birthday to you!! Thank you Jessica! 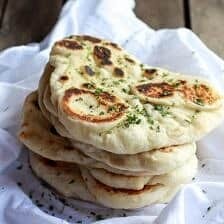 Can i make these ahead? Reheat them at the time we need them. Doing a mexican night and i love being organised. Maybe even free them or do them in the morning..
Lmk, your recipes are all amazing.